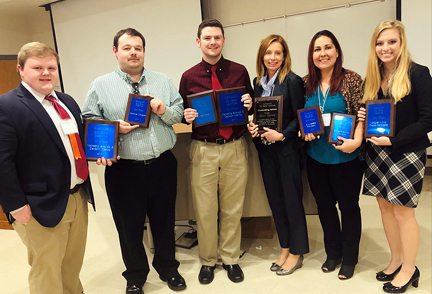 Each year, Southcentral Kentucky Community and Technical College (SKYCTC) recognizes students from each of the Allied Health programs of the College who have excelled in academic and clinical excellence as well as leadership. 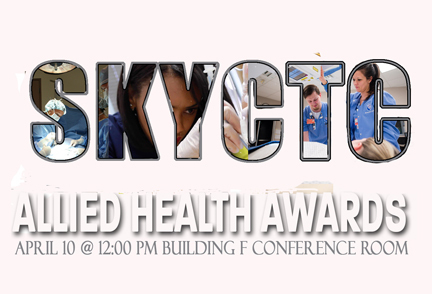 This year, SKYCTC honored thirteen Allied Health students with awards presented at the annual Allied Health Award Ceremony held on April 10, 2019 on the College's Main Campus. 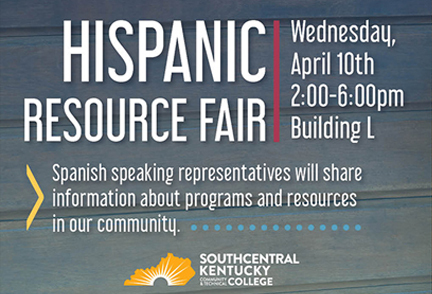 Southcentral Kentucky Community and Technical College (SKYCTC) will host its first Hispanic Resource Fair on Wednesday, April 10 from 2:00- 6:00 pm at the Main Campus, 1845 Loop Drive in Bowling Green, KY. The Hispanic Resource Fair is free and open to the community. 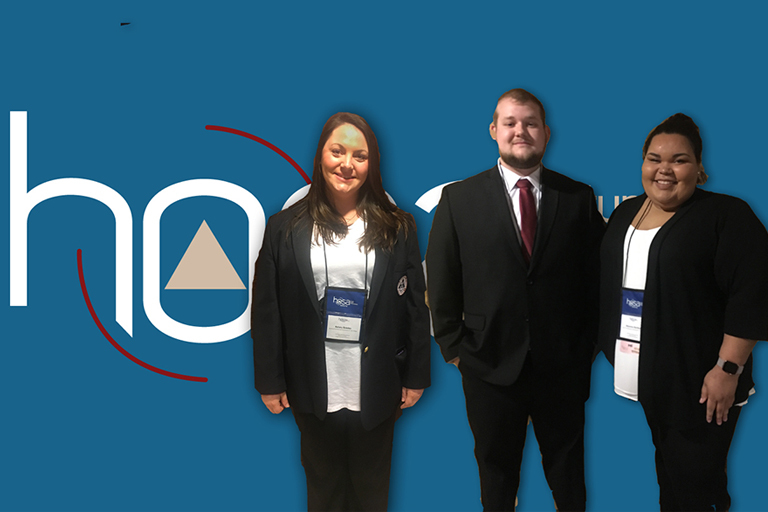 South Central Kentucky Community and Technical College (SKYCTC) students, who are members of the Health Occupational Students of America (HOSA), participated in the state-wide competition at the annual HOSA State Leadership Conference, March 21-23 at the Louisville Crown Plaza Hotel. HOSA is a state and international organization for students preparing for health careers. 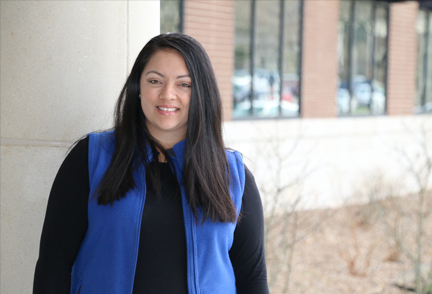 Members of the Phi Beta Lambda (PBL) Chapter at Southcentral Kentucky Community and Technical College (SKYCTC) competed with other colleges and universities, March 22-23 at the 2019 Phi Beta Lambda State Leadership Conference at Eastern Kentucky University in Richmond, KY.
Addi is a full-time Admissions recruiter and the Latino Outreach specialist who also works with non-traditional and international students at SKYCTC. A new program to help people earn a GED and a college certificate at the same time will get more adults into the workforce at a faster rate. 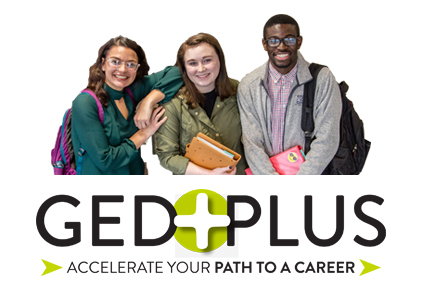 The program, called GED Plus, is offered through a collaboration of Southcentral Kentucky Community and Technical College and Kentucky Skills U (formerly Kentucky Adult Education). 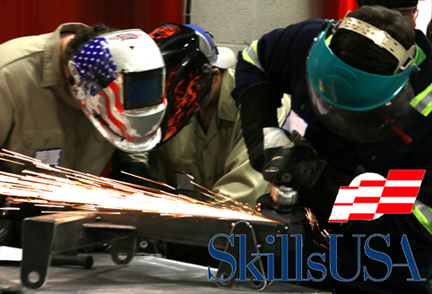 Over 125 area high school students competed in the 5th Region SkillsUSA competition hosted by Southcentral Kentucky Community and Technical College, along with the Warren County Area Technology Center, on February 22, 2019. 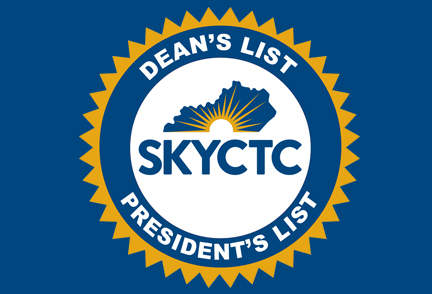 The following Southcentral Kentucky Community and Technical College students have been named to the Dean's List and President's List during the Fall 2018 semester. To be named to the Dean's List, a student must have been a full-time student and attained a grade average of 3.5 or higher on a 4.0 scale. 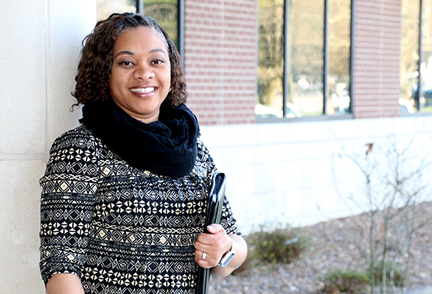 To be named to the President's List, a student must have been a full-time student and attained a 4.0 grade average. 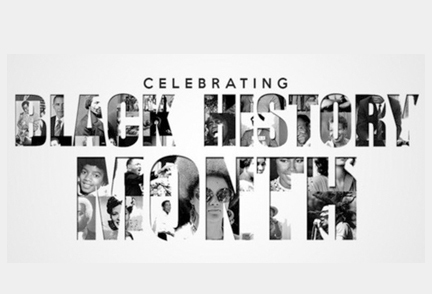 On Tuesday, February 12th, Southcentral Kentucky Community and Technical College (SKYCTC) host its fourth annual AARI that featured professional African American writers. The event will take place at 12:30 p.m. in the Building F Conference Room on College's Main Campus at 1845 Loop Drive in Bowling Green, Kentucky.